Craft beers have become really popular, the uniqueness and the character of each beer and the supportive nature on a smaller scale of local breweries who can experiment and provide a drink that is different from mainstream beers. 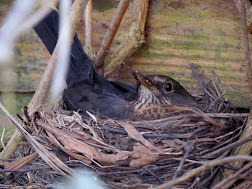 This is what captured the interest of Beer52 founder James Brown whilst on a road trip on the back of a Harley Davidson - stopping off at pubs and brewhouses along the way trying out original beers. Hence the idea of setting up Beer52 and providing exclusive small batch beers, sourced from all over for fellow beer enthusiasts and those that love to try a new drink. 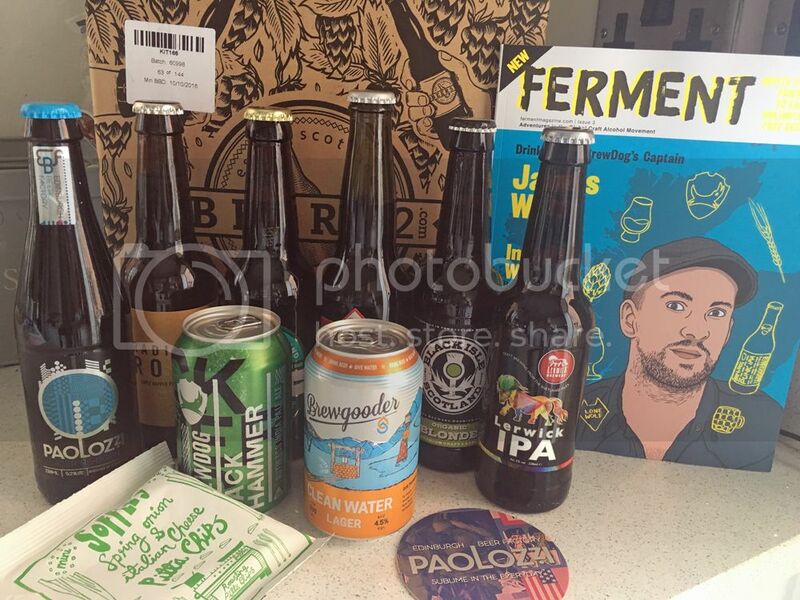 We were lucky to receive a Beer52 box and this month the beers were from Scotland. Arriving well packaged, we set out discovering some great craft beers, 8 of them to try. 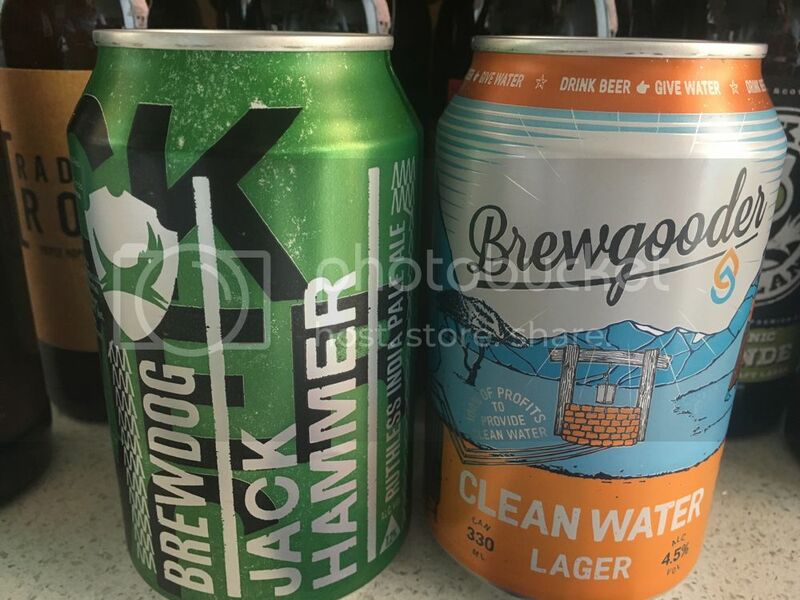 BrewDog have really come to the front as an industry leader despite only being 10 years in existence and BrewDog bars are now being seen popping up in cities across the United Kingdom. Famed for their unique and quirky beer names this India Pale Ale gives you a hint of what's to come with the title of Jack Hammer! It's a heavy hitting ale at 7.2% and the hops and bitterness are strongly present throughout despite the attempts of the citrus and spices to divert your taste buds elsewhere. 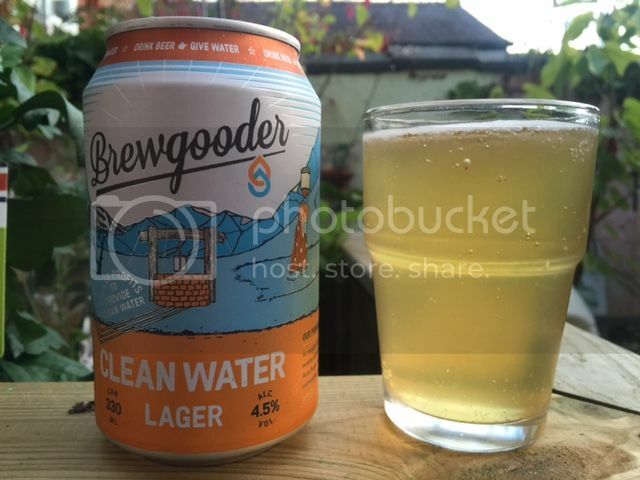 Brewgooder have really gone the extra mile here with their Clean Water Lager, the name is so given as 100% of profits are going to Clean Water projects in the African country of Malawi. The lager itself is golden in colour and it's fruity and sweet combination of banana and lemon work really well to give a crisp taste. Jarl is produced by Fyne Ales in Argyll which is an area steeped with great Viking history so the name of the beer is taken from the Viking word for Earl. It was a lovely summer's evening when I drank this so being a light session ale this was a great choice. The Citrus scent and flavour really came out and made this so refreshing - would definitely go for it again. 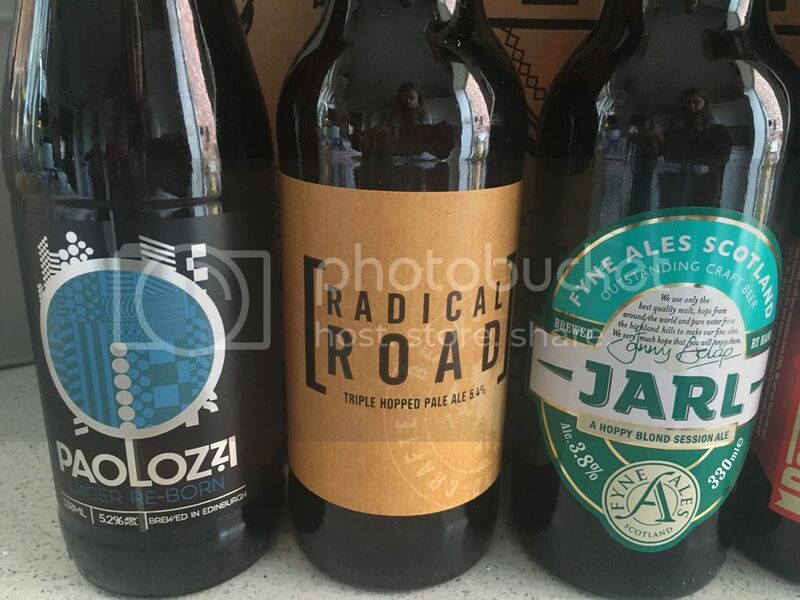 Radical Road is a triple-hopped India Pale Ale made by the Stewart Brewing company who are based on the outskirts of Scotland's capital city and are well-know for their excellent customer service approach. This IPA is obviously a very hoppy beer but the addition of the pine, citrus and grapefruit added to the mix make a great tasting dark-Golden ale. 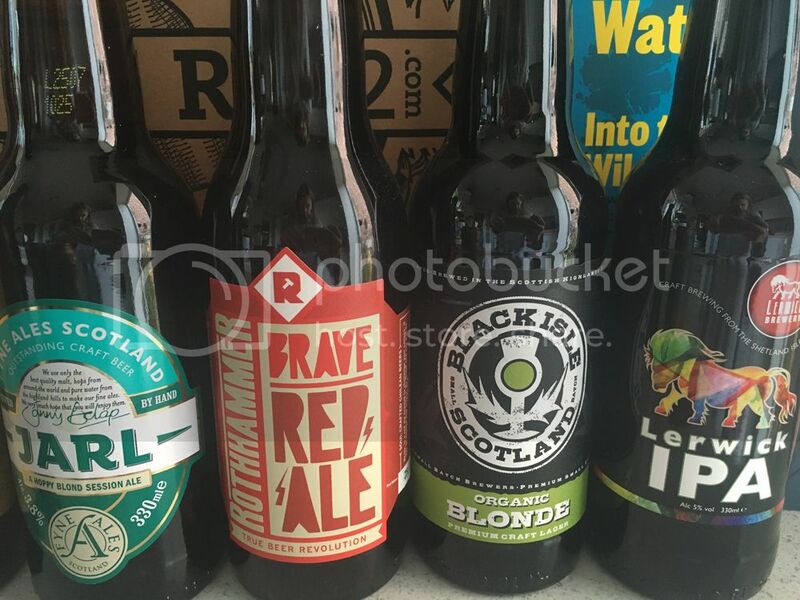 Edinburgh Beer Factory are fairly new to this game with the company only being born in the Capital City in 2014. 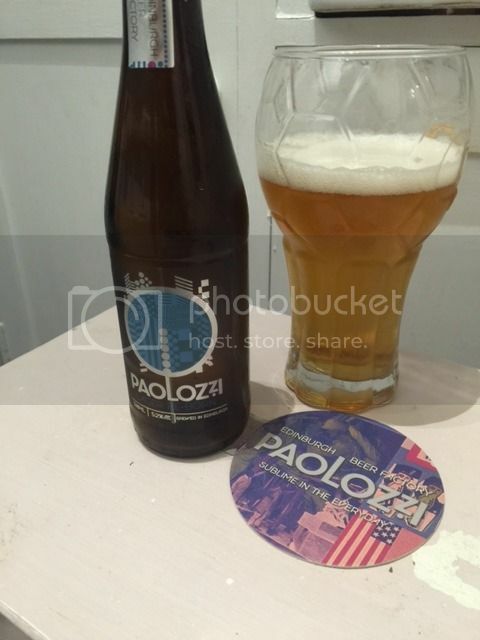 Paolozzi is a lager and it's interesting name comes from Eduardo Paolozzi, a local hero and the founding father of Pop Art. The drink was very smooth and the blend of sweet fruits alongside the perfect measure of bitterness really combined to make this a stunning taste. This month's Import Beer comes all the way from the Rothhamer Brewery in Chile. This company was founded by two men who were fed up of drinking fizzy, uninspiring, mass-produced lagers so decided to make their own! Brave Red is an Amber Ale which does indeed look quite red in colour. The strong malt, grapefruit and citrus presences give the ale a really sweet edge which is tempered slightly by the spices and hops the brewers like to use in large quantities. Black Isle Brewery are famed for being Scotland's only organic brewery and they grow their organic barley on a 125 acre farm North of Inverness. Blonde is listed as a Lager but with it's hoppy and malty content and golden colour could just as easily be classed as a Pale Ale. The hint of honey neutralises the otherwise dry and biting taste to good affect. Lerwick Brewery is located on the remote Shetland Isles and they like to reflect this uniqueness in their beers. Their self-titled Lerwick IPA is very hoppy and dark in colour but despite this the ale is very smooth and fairly sweet tasting thanks to the good balance with the fruits. 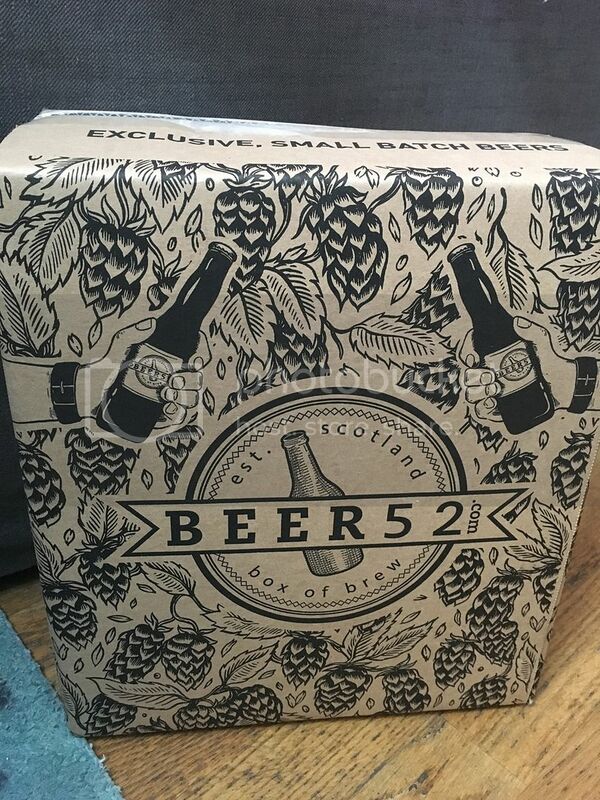 I thought Beer52 was a really good idea, it gave you the chance to sample beers that you wouldn't otherwise be able to through your local supermarket - it was like having a mini Beer Festival being brought into your own home! The fact that you don't know what beer you're receiving each month makes it exciting so examining each beer when you first open the box is a real moment to savour. I love the idea of snacks and other gifts appearing in the box and the option to expand the amount of beer you receive is obviously a good move by the company too! 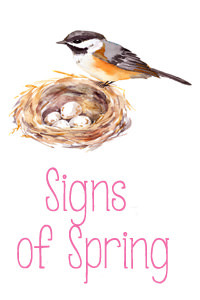 The monthly magazine gives a really good insight into the featured Ales (and their Brewers!) and also interesting and relevant stories from that Month's chosen Country too. 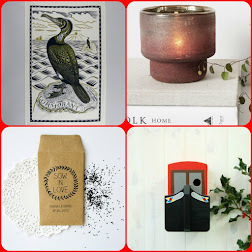 A subscription to this would make a really good gift for a friend or family member as a Christmas or Birthday present so go ahead and give it a try, I loved it! Each month Beer52 select 8 themed small batch craft beers to send to you along with Ferment magazine and a snack - we received some tasty pitta chips. 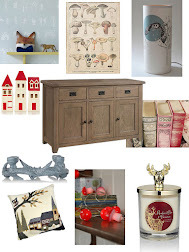 The Discovery boxes cost £24 a month and you can collect rewards for subscribing for over 3 months.